Johannesburg, 25 July 2018 – Delegates attending the 2018 Southern African Metals and Engineering Indaba at the IDC Conference Centre in Sandton on 20 and 21 September will have an opportunity to influence economic policies that have a direct impact on the businesses they operate. 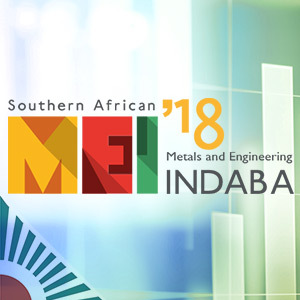 The Indaba, now in its fourth year of existence, is organized and hosted annually by the Steel and Engineering Industries Federation of Southern Africa (SEIFSA), and its core objective is to provide a platform for policy makers, labour representatives and businesses operating in the metals, engineering and related sectors t not only to discuss the challenges facing the sector, but also to collaborate in a search for sustainable solutions for manufacturing in general and the metals and engineering sector in particular. SEIFSA Chief Executive Officer Kaizer Nyatsumba said the Indaba will afford its participants an invaluable opportunity to influence policy by adopting conference resolutions that SEIFSA – in collaboration with other business bodies and stakeholders like labour partners – will lobby policy makers on.